It’s a magic time of the year. No, not the silly holiday stuff. We’re talking about when the orbit of Mars brings it practically within spittin’ distance of Earth. So if you’re going to Mars, November was the month to do it. It just so happens that two missions were planned – Phobos-Grunt and Mars Science Laboratory (MSL). NASA’s MSL mission has had better luck so far. 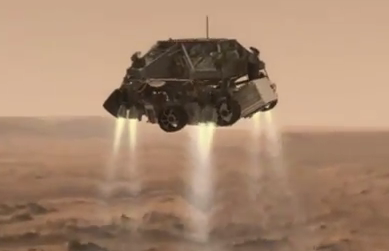 MSL (and the Curiosity Rover) successfully left Earth orbit and is on the way to an August arrival on Mars. Curiosity is a huge, plutonium powered rover – much larger than any of the previous rovers. And it’s packing HD video as well as some brand-spanking new laboratory devices to continue the search for life on Mars. Oh, and the landing promises to be pretty amazing, too. Top Men will keep you updated. Go back to your drivel. Here is an 11 minute HD animation of the MSL mission. Here is an 11 minute animation of the Phobos-Grunt mission. Here is an HD video of the MSL launch. 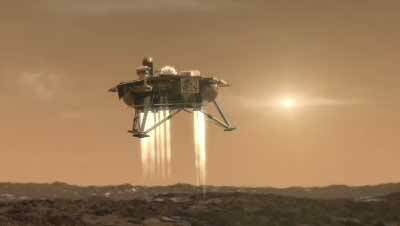 Here is an HD video of the MSL leaving earth behind. This entry was posted in Nature, Science, Technology by topmen. Bookmark the permalink.